So far, being head gardener, aka Conference Blogging Coordinator, has been a breezy time of cultivating new expectations and enjoying a bouquet of happy memories. I can’t wait to make more with you all very soon. Meantime if you not sure who I am - for shame! - here’s a wee overview of the infamous?, exceedingly talented? ?, Dim but nice, Dimity Powell. I’m the mad nutter who’ll be shoving a camera and notebook into everyone’s faces under the umbrella of National Blogger Coordinator. This will be the third conference I’ve assumed a Roving Reporter role. Overseeing the RRers is one of the highlights for me. They are a fabulous team, willing and able to go to any extreme to cover every image, syllable and story the conference uncovers. My role is to ensure we report on each of the sessions, including the master classes and all the fun bits and publish them on the Conference Blog. See Write Share. I’m also one of the authors at The Children’s Bookshop Celebration of Stories event Sunday afternoon before the Conference. Plus, I’m on the panel for one of the PD sessions as part of the awesome Creating Creative Writers auxiliary Conference, Tuesday 26 February. It came as a genuine surprise to be shortlisted for the Western Australian Premier’s Book Awards for, The Chapel of Unlove, the digital narrative commissioned for the incredible Story City app. I had an absolute hoot writing this multi ending, interactive, locative fiction and am so proud and pleased to see it recognised in this way. I actually think any word of mine that makes it onto any public publishing forum is a huge step forward. 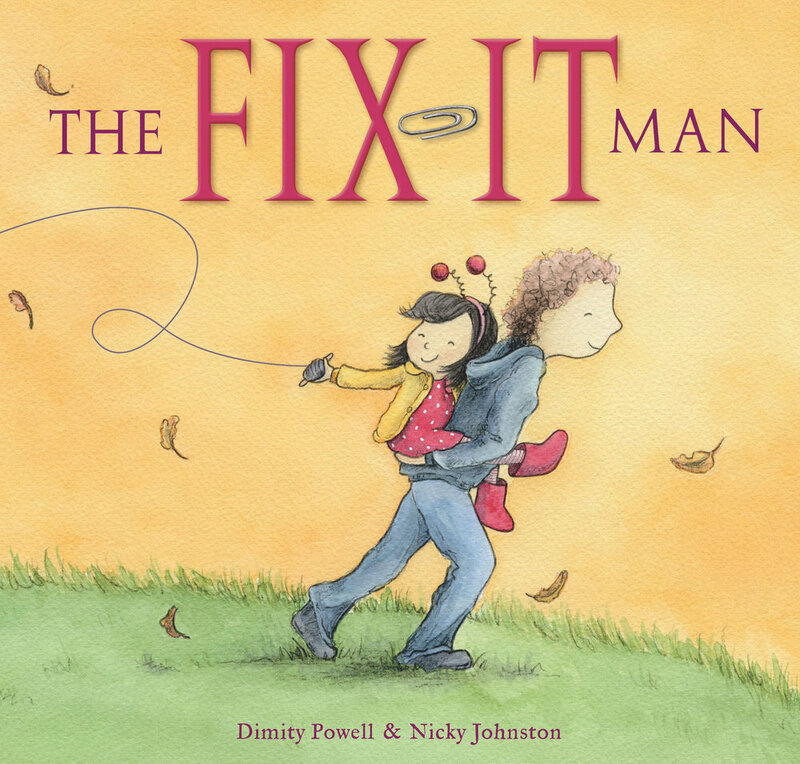 The overall vibe of these conferences is stupendous but one of my glowing memories was being in the same room for the first time with Holyrood Lane’s illustrator, Nicky Johnston and EK Books publisher, Anouska Jones. It was the first time I laid eyes on Nicky’s roughs for Holyrood Lane, too. When she showed Anouska and me, it felt like receiving a book of magic. I tend to spiral into a spin if I forget my hairbrush and I know for sure I’d seize up like a rusty gate if I didn’t have yoga in my life but for me, ice cream is my Band-Aid; it makes EVERYTHING better and therefore is a life essential. A few months before the 2016 Sydney Conference, I met this girl in a bookshop in Brisbane. When I say met, I mean she accosted me in a non-threatening but completely unexpected ‘BOO!’ kind of way. She seemed to know me but stupidly, I didn’t know her. When my heartbeat returned to normal, I acknowledged I was happy to make her acquaintance. Turns out, that girl was the incredibly gifted, supremely funny, Queensland illustrator, Sophie Beer who was later awarded for being incredibly gifted at the official 2016 Conference Dinner Dance. When I heard her name read out, I leaped from my chair and screamed like a banshee in delight. It felt like being at the Logies, even though I’ve never been to the Logies! I may have cried a bit too, sook that I am. Sheryl Gywther is the SCBWI Assistant Regional Adviser for Queensland, an impassioned advocate for all things kids’ lit and a writer for 7-13 year olds. 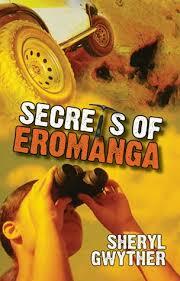 Her short stories, chapter books and school plays are widely used in schools, and her novel, Secrets of Eromanga, an adventure set on an Australia’s dinosaur fossil dig is still popular in many schools. She’s a recipient of two Australian Society of Authors Mentorships; two May Gibbs Children’s Literature Trust Residential Fellowship; and an Arts Qld Individual Professional Development Grant. In 2013, Sheryl was recently awarded a SCBWI Work-of-Outstanding-Progress Grant for her historical adventure w-i-p, Sweet Adversity. When Sheryl occasionally has a spare day, she spends it on painting, printmaking and photography. She’s also a completely besotted grandmother who now has a small person of her own again to share wonderful children’s stories with. It’s hard not to admire her zeal and talent so slam your plant pots together for Sheryl Gywther! 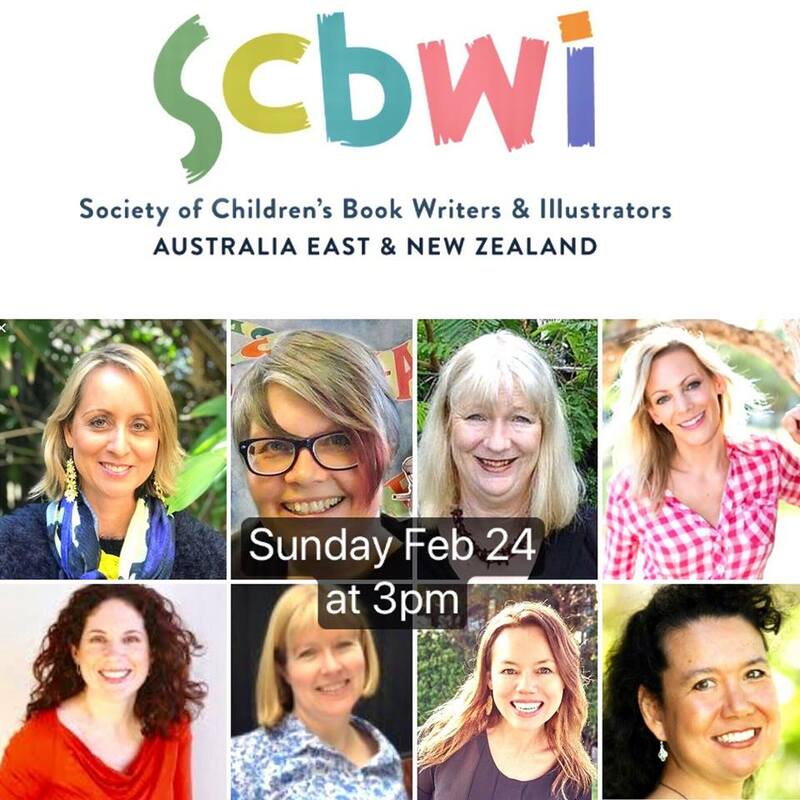 I’m a SCBWI Assistant Regional Advisor, in charge of a wonderful tribe of KidLit creators from Queensland. We also have three sub-branches in Queensland (we’re a pretty big state) - one in the Far North Qld, at the Gold Coast and the Sunshine Coast. The publication in July 2018 of my historical adventure set in the Great Depression, Sweet Adversity, (HarperCollins Australia). A manuscript assessment with the wonderful HarperCollins publisher, Lisa Berryman … most memorable because Lisa told me she absolutely loved my manuscript submission, Sweet Adversity, and my protagonist, Addie McAllister, and also the way I write, and could I please send her the whole manuscript. I didn’t stop grinning for the rest of the conference. My most memorable foreign SCBWI Conference was the 2018 Summer Conference in Los Angeles. OMG! It was totally amazing, brilliant, informative, massive … I’m still getting my head about the experience. I’m so glad I made the effort to go! Thank you, Susanne Gervay for encouraging me … may not have forced myself to fly so far just for a week otherwise. My imagination. And my family … especially the little addition to our lives, Ava Harriet Gwyther … now 16 months old. I wouldn’t be surprised if she ’s the next scientist in our family. A FUN FACT from the SCBWI Summer Conference in LA. There were over 1200 delegates to this conference held in a huge hotel in the city. Can you imagine 1200 people in a huge ballroom ALL talking at the same time about books, publishing, writing, illustrating KidLit? Yeah, the buzz almost lifted the roof! Check out the fabulous, informative conference blog, here. Awesome, Sheryl! Just like the Sydney 2019 SCBWI Conference is shaping up to be. Can’t wait. When it comes to landscaping with success, a team of energetic, enthusiastic but unsupervised gardeners is likely to result in some questionable companion planting and mismatched colour schemes. So who coordinators this vi de spiritu? Why the remarkable, Margaret Roc of course. Margaret is an author, co-author and editor of over 50 books for children and teachers including fiction, non-fiction and picture books. She was born in Scotland and lives in Sydney, Australia with her husband, John. She is a mother of two and has worked as a teacher, special needs teacher and teacher-librarian. Coordinating all the face to face and International critiques. Apart from my books, I am pleased and proud to have been instrumental, under Susanne’s vision and encouragement, in establishing the SCBWI Online Critique groups. There are now 24 Online Critique groups with about 120 participants. Many members with wonderful success stories have acknowledged the important contribution their critique group has been to their publishing deals. I get the thrill each conference when I hear that some of our members have received contracts through their Critique submissions. I feel somehow that in a teeny weeny way I have helped in their success and that gives me a great deal of pleasure. So difficult to answer - there are so many things I couldn’t live without: my family, friends, yoga, books and perhaps coffee and ….. chocolate!!!!!! After all the amazing input from speakers, master classes, critiques and pitches it is fun to watch the illustrators duel and then relax, eating, chatting and dancing the night away at the Dinner Dance Party.